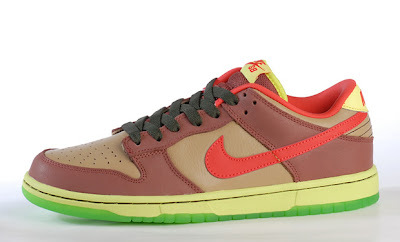 ANIVRAM REPRESENTING SNEAKER CULTURE: LIMITED Release Alert : Nike Dunk SB "Toxic Sea Robin"
LIMITED Release Alert : Nike Dunk SB "Toxic Sea Robin"
For all you skateboard fans out there and collectors - the Toxic Avenger now renamed the Nike Dunk SB Toxic Sea Robin will be released this Saturday August 15th at the NJ Skateshop in New Jersey. The shoe features a light and dark brown upper with a blood orange swoosh. Yellow trip can be seen on the back of the sneaker as well as the tongue. 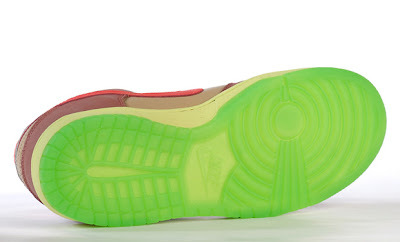 Underneath the yellow midsole is a neon green outsole. There will be limited quantities available so make sure to get there early to pick this one up. As they say "The early Toxic Sea Robin gets the worm."